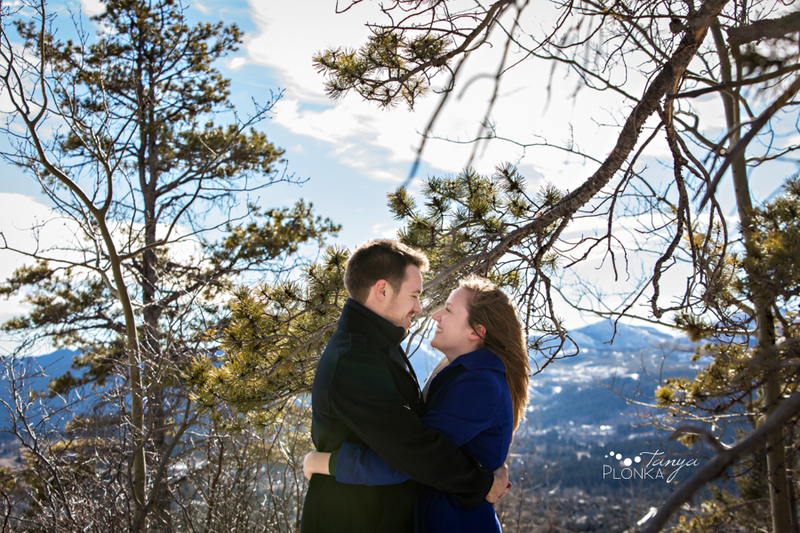 I’m getting so excited for Andrea and Tylor’s wedding this month! I’ve known Andrea since grade one and it’s amazing to see her taking this step. 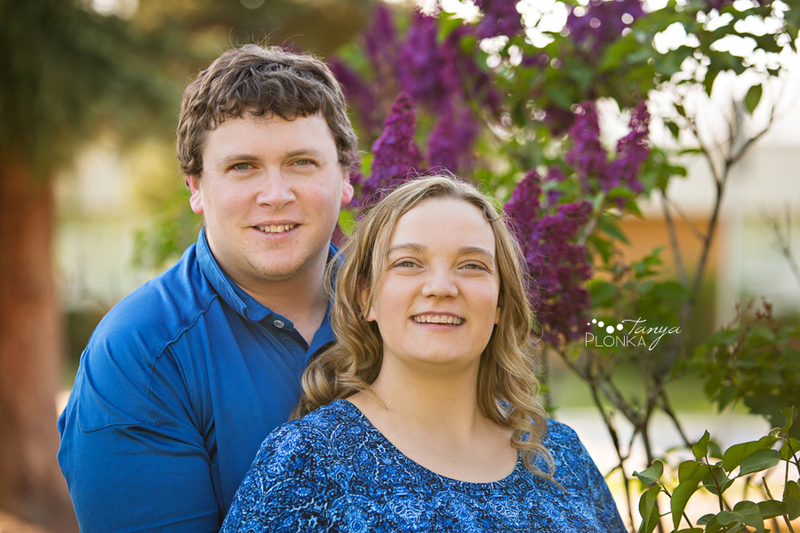 We met up a few weeks before the wedding for Nicholas Sheran spring engagement photos so that they’d have something up to date to share at their reception. Their cute little girl Evelyn hopped in for a couple photos but quickly let us know she was happier hanging out with her uncle behind the scenes and picking grass blades. 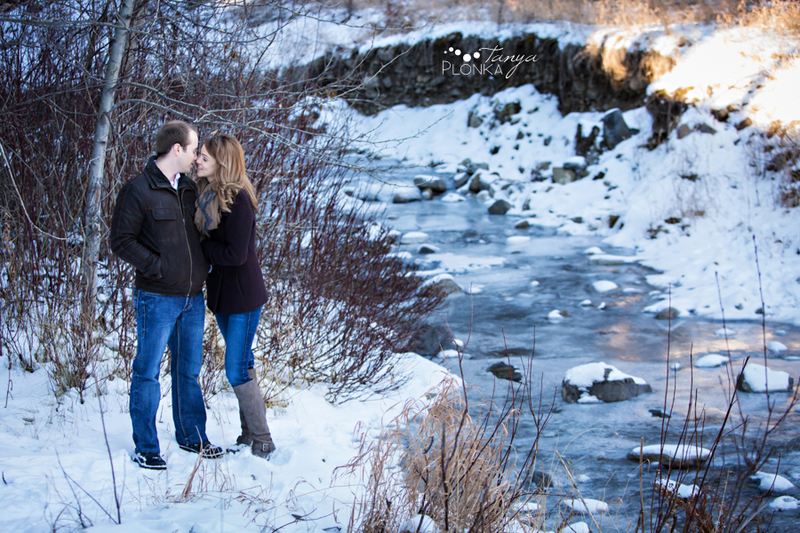 When Sharon and Richard scheduled their session a few months ago to take place in December, we definitely weren’t expecting such warm winter engagement photos! Indian Battle Park felt like it was going through spring a whole season early with all the bright sunshine and total lack of wind. Sharon and Richard are such a perfect couple, giggling like lovestruck teenagers every time they look at each other. I loved seeing how comfortable and snuggly they are together! I met Sheila and Ben at a wedding earlier this summer and when they contacted me to arrange their own Park Lake autumn engagement photos, I easily remembered them because Sheila had given Ben piggyback rides throughout the day! 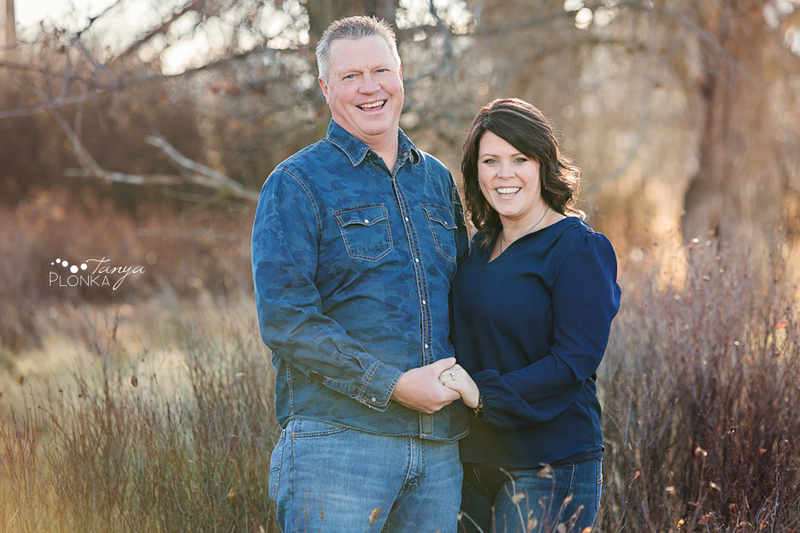 I love when couples choose locations that are very personal to them, and for Mike and Lanna’s New Dayton farm engagement photos, they choose their own farm! 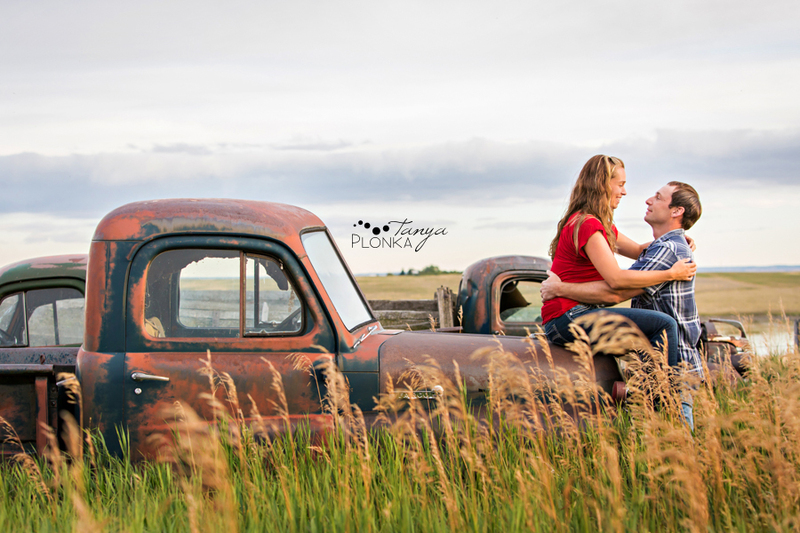 After driving through a herd of fuzzy cattle, their hilltop home is surrounded by old trees, gorgeous dirt roads, and well-manicured flowers, while nearby are huge ponds and vintage trucks. We definitely had no shortage of locations to use!